On sale! $99.00 tax incl. 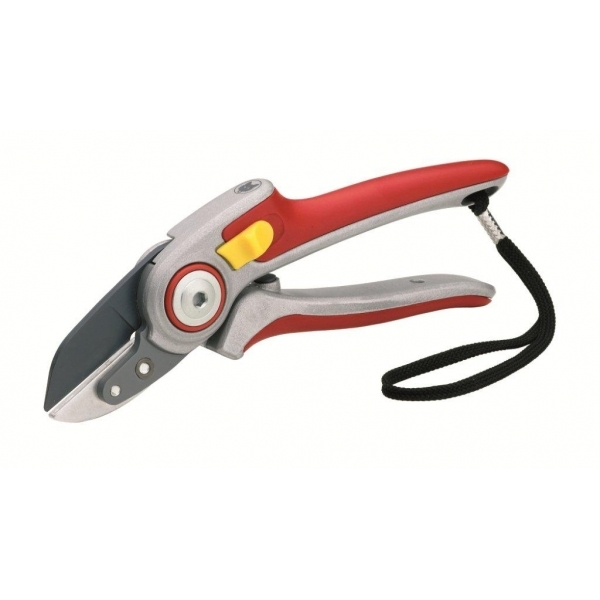 Specifically developed for the high demands and needs of the heavy user, the top quality and durability of RS 5000 »Professional« anvil aluminium garden shears is convincing. The result: A soft and effortless cut without jarring, even after thousands of cutting operations. The integral spring, which is securely protected in the cutter head is unique, and means no more contamination, no more catching and no more getting lost. The joints of the hand and the underarm are protected by the 30°-angled cutter head, as there is no need to overstretch the hand. The professional high-strength aluminium grips with smooth plastic inlays thus sit comfortably in the hand. 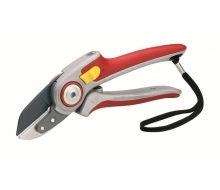 As with all WOLF-Garten »Professional« shears, the wearing parts are replaceable. 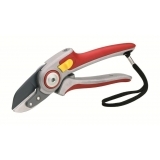 The WOLF-Garten RS 5000 »Professional« anvil aluminium garden shears are also available in an attractive gift box.